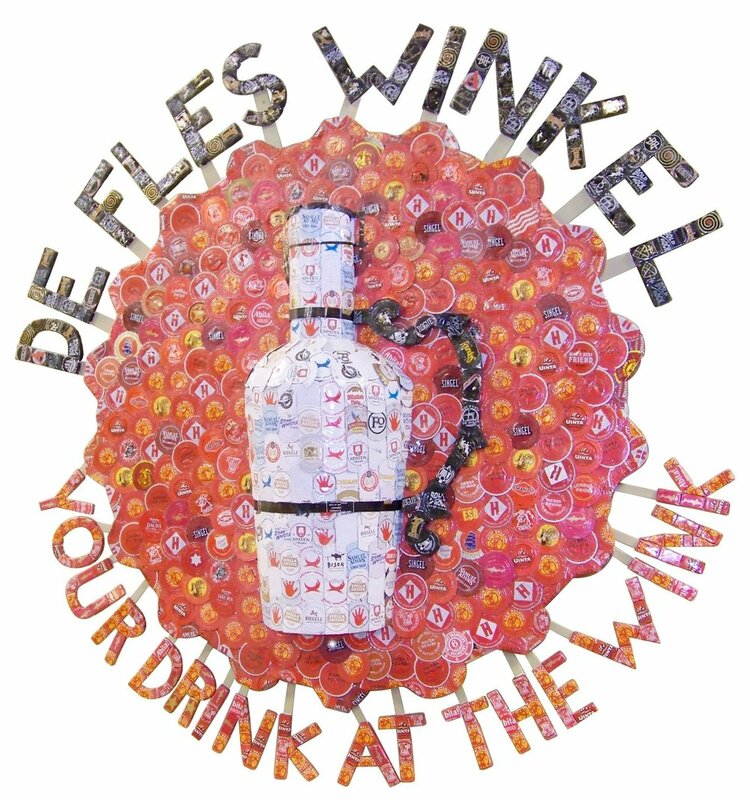 This sign was commissioned for the owner of De Fles Winkel, a bottle shop in Richmond. The logo was already designed. The letters were constructed the same as in other signs and attached to the background with popsicle sticks. The background is ¾” plywood covered with flattened caps. 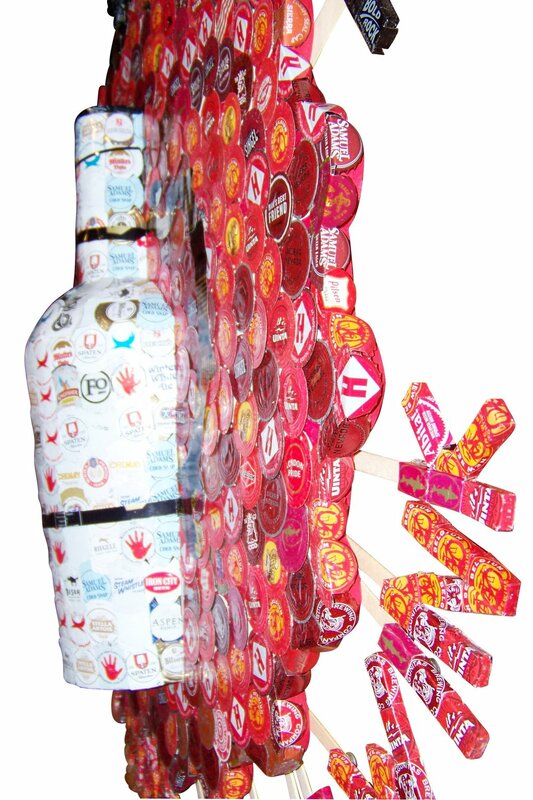 The most interesting part is the growler; we’ve never made anything quite like it before. It’s 100% caps, freestanding, and not supported by anything underneath. There are 750 caps and all of them are [arguably] craft beers. There are over 60 breweries represented.